So it’s been a while since our last post but things have been busy! There seems to be no time between work, school, normal living, and chill time. Something seems to always be going on or something needs to be done. But between all this Jay found some time to work on our truck. We’ve been working on minimizing our lifestyle, having things we only really need and not buying useless junk. We’ve been selling things that have sat around for months with no use, showing they have little to no value in our current life. Life accumulates and we’re working on un-accumulating it! It’s actually quite liberating. But I got off subject. Jay got to work on the truck. The plan with this is that we will have a regular truck where we can truck camp. That is, not have to carry a tent and set up and not have to pull around a trailer or drive a big conversion van. The idea here is travel and be inconspicuous so if need be, we can sleep in the truck bed and not have to pay for a motel. At this time it is still a work in progress. 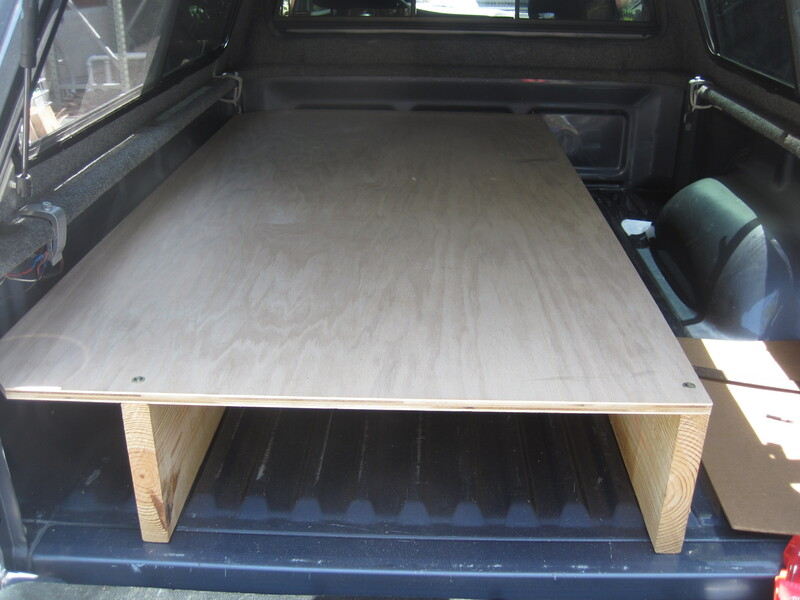 For about two months all we had was an empty truck bed and then we finally got around to putting the topper on it. 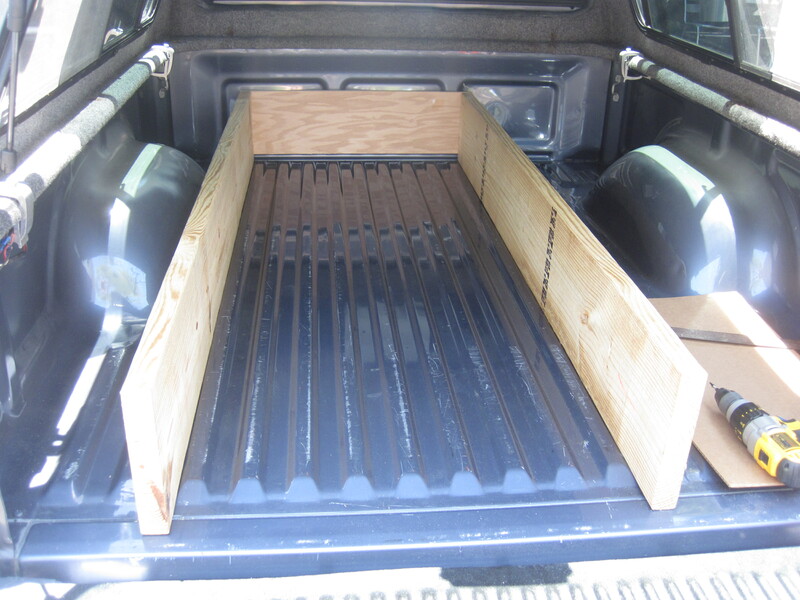 The truck bed is only 6 feet long so that won’t be a problem for me since I’m 5’3 but Jay is a bit tight in there. We decided that an elevated bed would be best for us which would give us enough space underneath to have some drawers where would could store random stuff. On the space to the right there will be another piece of ply wood where we will have clothes drawers. Closer to the tailgate right corner there will be a 50 qt fridge. Jay is going to set the truck up with batteries and wires and all this other stuff that honestly, I don’t really understand, but it will make the truck more comfortable and livable. There will also be a fan in the middle window from the cab into the truck so we can have some air circulation. We are going to tint the windows, add some curtains, put a twin size memory foam mattress in to sleep on ( it’s going to be a tight squeeze for the both of us!) and a bed for the dog, yup, three of us in this very small truck bed! Starting in the summer, of course, the hottest months of Florida, we will travel around in our truck camper getting to see new places for nothing but the price of gas, but we’ll also carry a tent just in case the truck gets a bit cramped! We’re really looking forward to seeing different places in Florida and experience something new. Our first locations will most likely be Hutchinson Island and Venice Beach. 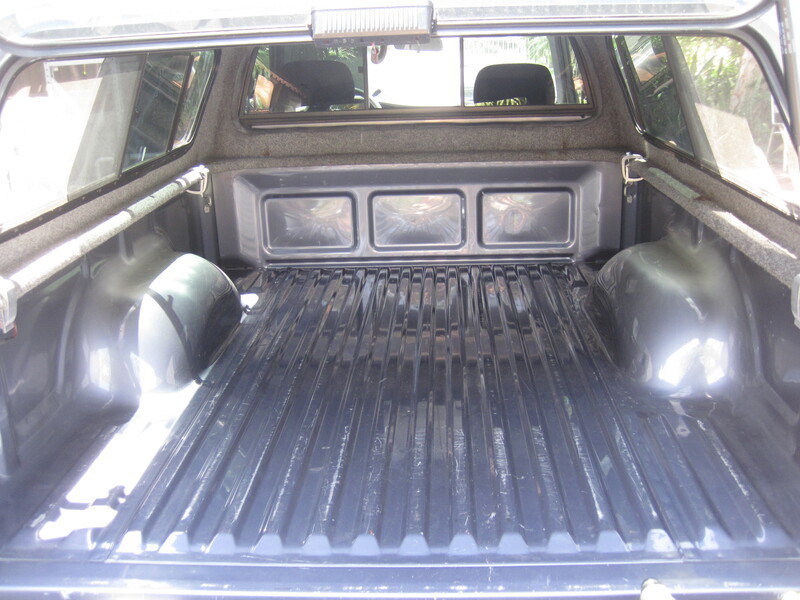 But before that, we’re going to finish up the truck and we’ll post more pictures up in case anyone likes our truck bed set up and wants to mimic it. Happy travels!